Don’t we all wish that the iPod Touch came with the GPS functionality all along. iPod Touch may not be a phone, but it is a decent mobile gaming device and beats most mobile handheld devices on the back of Apple iTunes and the apps available there. The iPhone has many advantages over the iPod, and while Apple is poised to add video-capture capability on iPod Touch in the near future, the iPod Touch will continue to play second to iPhone. The iPhone has become quite popular among GPS manufacturers. These companies may have lost some of their market to mobile apps on iPhone, but they are able to offer their technology on this tiny device without having to manufacture their own hardware. So the margins could potentially be higher for these companies. It’s no wonder that almost all top GPS companies are now offering their service on iPhone. Whether it’s Magellan, TomTom, or Navigon, there are plenty of “premium” GPS apps available for iPhone. A few of these companies made the mistake of only targeting iPhone owners. The iPod Touch may not have the GPS capability available on iPhone, but it’d be a mistake for any business to discount that market. Magellan has already a kit in the works that allows iPod Touch owners to turn their device into a mobile GPS capable of handling GPS apps. While the app is quite expensive, it saves iPod Touch owners the trouble of signing up for an AT&T contract to get an iPhone. 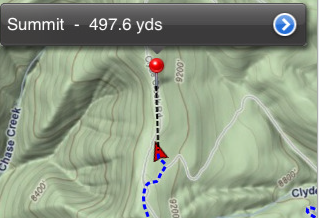 Besides, if you are using your iPod as your gaming and music device, why not use it as your GPS as well? 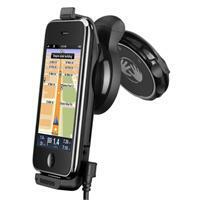 The TomTom car kit boasts a sensitive GPS receiver, turning your iPod touch into a GPS device. The receiver gives your device a reliable signal – even when driving in high-rise urban areas. This kit does cost a bit less than its iPhone counterpart. 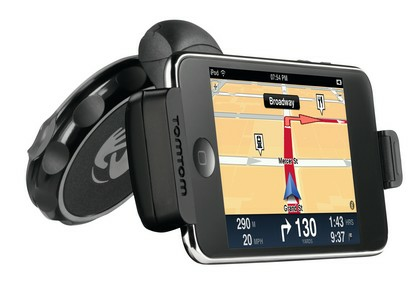 TomTom has it listed for $99.99 as the kit doesn’t offer hands free calls and other features that you get on an iPhone. It’s still worth a serious consideration for any iPod Touch owner. TomTom and Magellan are not going to be the last companies to target iPod Touch owners with their apps. At the same time, one has to wonder whether these kits are worth investing in when they cost you more than a traditional GPS. Apple could always add GPS capability to iPod Touch and save us all some grief, but that would be asking for too much, right?